You Are Here: Home » Parenting Tips » When Do Babies Start Eating Baby Food? Posted by :Dawne Dale Posted date : April 22, 2015 In Parenting Tips Comments Off on When Do Babies Start Eating Baby Food? Did you know that you cannot randomly choose an age to begin feeding solid food your toddler? Your toddler’s digestive system develops in stages and retains the ability to digest heavier food as they grow older. Usually, the stomach muscles gain mass and strength to digest the baby solid food between the age of four and six months. Until your baby reaches that age, she is strictly to be fed breast milk or baby formula. Your toddler’s digestive system isn’t in the full capacity to break down complex food until she is at least six months older. Do you wonder When Do Babies Start Eating Baby Food?? Then you should know this. Although the right time to feed the baby is beyond five months, most parents may feel the need to begin feeding solid food early, assuming the babies are growing fast. The American Academy of Paediatrics recommends you to have your baby fed breast milk for a compulsive duration of six months. Here are some positive signs you will have to watch out when your baby indicates that she is ready to have her first meal. To have a solid food your baby needs to be in an upright position and must be in a capable of holding the head steady and once she has an ability to control the head she is ready for her meal. Until the babies are old enough to swallow the food, they will have ‘extrusion reflex’, that is using their tongue to push the food out of her mouth. When she stops pushing the food out with her tongue, it is a positive indication to begin feeding her solid food. Sitting upright is a most relied sign that indicates that she is ready to be fed baby food, because for the solid food to be swallowed it is compulsory to remain seated upright by supporting her, because the food may choke her if she is fed while in a reclined position. Observe your baby when there is a reduction in the drooling when she is growing. Because only when a baby learns to swallow will the drooling recede. It will also be the same time when she learns simple chewing motion and learns to work her mouth and tongue in synchronization with her digestive system. Although, you must know that the baby can also drool during her teething stages. So watch out for right signs at the right occasions. If you have reasons to believe that your baby has gained weight in a short period, it is again a positive sign that she is ready to make a switch from the usual milk and baby formula to baby solid food. The criteria to update her diet are if your baby is 15 pounds or greater and is at least four months older. You will notice her appetite is growing as she is easily hungry despite 8 to 10 feeds. When your toddler is starting to grow, you will notice she is curious about what adults eat. It doesn’t matter what you are trying to eat she will be eyeing that food and will almost do anything to try and make a reach for it. Introduction to her first baby solid food requires you to pay additional attention and it is recommended that you feed her smashed veggies or single grain cereal. You can give pureed veggies like applesauce, sweet potatoes, squash, and bananas. Before you attempt feeding your baby, it is best to bottle feed your munchkin to calm her and once she settles down, feed her with a spoonful of pureed solid food. If you insist on feeding your baby with cereal, then it is better if you fed her by mixing a small quantity of breast milk or baby formula with the cereal. When you make a transition from one food type to another you must ensure it isn’t done in haste as that may cause her to have digestive issues, and it isn’t wise to expect her to adapt rapidly to the new food. So make a slower transition if you must. Also, when feeding your baby, you must use a plastic spoon to prevent injury to the gum and feed her in small quantities till you think she is full. Since this is the first time you are attempting to feed your little one, do not force the food right away. Allow her some time to explore the food she is trying for the first time. Allow her to smell and taste the food and don’t prevent her from decoding the food before eating it as she does a little warm up knowing her meal. Whatever you do, do not put the food into the bottle as this may confuse her perception and she may not able to judge if the food should be eaten with a spoon or if she must have the food seated upright. The solid food induction can be attempted once a day, and there is no need to compel her to finish. She may indicate to you when she is starting to feel full. Many babies are known to keep the food in their mouth before they swallow. 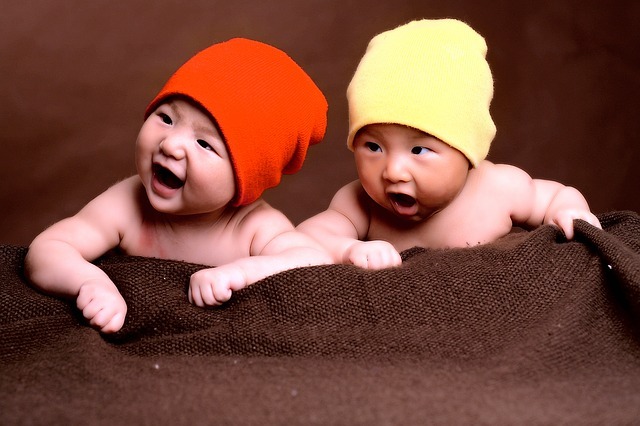 It is a normal behaviour for babies, and they will slowly stop it as they grow older. As you attempt feeding her more often, increase the thickness of the food little bit at a time each day until she adapts to a fixed conistency. You must increase the thickness in case you feed her cereals. Once she gets acclimatized to few feeding session, you can increase the frequency to a few tablespoons a day. Do not feed her with an intention of making her consume the food of fixed quantity. Remember, your baby has her natural capacity after which she may indicate through her expression and actions that it is time for you to stop feeding her. So watch out for signs such as leaning back in the chair, refusing to open her mouth for the next scoop, looking away from the food and you may also notice her playing with the spoon. Do note, that sometimes your baby will hold her mouth closed because she may already have food in her mouth and may need time till she has finished swallowing. Should I Still Continue Breastfeeding and Formula? You must never stop breastfeeding your baby till she is a year old at least, because no other food can compensate the breast milk as your baby receives all the nutrients, vitamins, iron and proteins from the breast milk. Another important reason you mustn’t discontinue the breastfeeding is because it is one of the easily digestible foods for your baby. There are a couple reasons why you must introduce food gradually to your baby; your baby’s digestive system can adapt well to break down solid food. The other reason is that you will know if she is susceptible to allergy. When you decide to cycle between multiple solid foods you spare a gap of 3 days before you repeat them in a cycle. It allows sufficient time to understand if the food has positively impacted her. If she is allergic to certain foods, then she may have symptoms such as diarrhoea, rashes, vomiting and swelling of the body. If there is a history of allergic symptoms and reactions within the family, then you must wait as long as a week, till you are certain that the baby responds well to the new food. Consult your paediatrician about the expert dietary recommendation. Since every baby is unique, you must allow your toddler to taste all variety of food early. So that she gets acclimatized to the new food in no time. Since each baby will have their preferences, you must follow the slow transition between food varieties. We recommend you follow the following pattern that works well with most babies. As your baby makes progress with more variety of food, she will prefer having food that is softened and she will want to press it against the top of her mouth before swallowing. It happens when she just moves past the cereal diet. You can try including more veggies in her cereal as it helps making the transition smoother, instead of quickly switching the food type. You may have purchased ready to eat baby food, but remember not to directly feed her the contents of the packet. Remove sufficient food from the packet and empty them into a plate and feed her using a plastic spoon. Also do not dip your baby’s spoon back into the food packet as they may contain the bacteria from the saliva and may contaminate the food and make it unhealthy for later consumption for your baby. Discard any the food packets that have exceeded a day or two since the opening. Many parents have shown concern that their babies could have sweet tooth and prefer to introduce more veggies instead of sweets in the earlier stages, but the truth be said, babies naturally have the tendency to prefer sweets over other type of tastes and should not be the reason you make exception when it comes to her choice of food. But you are advised not to introduce foods that can easily choke your little one and cause inconvenience to her. If your baby prefers a certain food over the other, do not discourage her or force her to eat that food. You can attempt feeding her a week later, this is because there is a tendency she may periodically switch her preference. Do not be panic if you notice a sudden change in the colour or odour of your baby’s stool because your baby’s stool is a good indication of the food she consumes. When babies are fed breast milk, their stool will smell sweet, but will change in odour and appearance once she consumes even the slightest amount of solid food. Sometimes, her stool may look rigid and hard, this may be because she may not be well adjusted to banana and rice cereal. There are chances she may experience constipation due to these food type. Hence, it is recommended that you switch to other fruits and veggies. Along with the solid food you introduce, you can also give your baby water around this part of her age. It will not just keep her hydrated, but will also prevent her stool from hardening and causing constipation. 2 to 4 ounces are sufficient per day to keep her well hydrated. Here is how you can adjust your baby’s solid meal during her stages of growth. At the eight-month mark, you can prepare her meal in combination with a solid meal. Use the following to adjust her meal appropriately. What Items Do I Need Before Feeding The Baby? As soon as your baby begins to have solid food make sure you are well prepared to handle the messy mealtime. You parents must be prepared to manage by keeping the following items handy. A splat mat on the floor is a great way to keep the floor clean. However, in her immediate surrounding keep the following items forehand, plastic dishes and bowls that are approved for the babies. Make sure the edges aren’t sharp else they can hurt her sensitive gum and delicate skin. Use bibs to keep her food from dripping onto her wearable fabric. You must practice feeding her at the highchair to teach her the basics of table manners and also to keep her upright. Try feeding the baby during the family meal as you can have your meal while you will be able to help your baby as well. Healthy eating habits are essential as your little one grows. It isn’t sufficient just to adjust her to the meal you regularly consume, but also the development of table manners and choice of food follows. Always prepare your baby food yourself than depending on the canned or processed food as they may not match the satisfaction of making the food yourself. Also check the rules and guidelines regularly about the right feeding tips and methods.